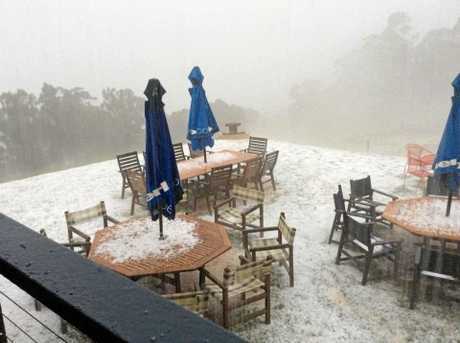 A SOUTHERN Downs business has been forced to close today after a destructive hailstorm passed through last night. 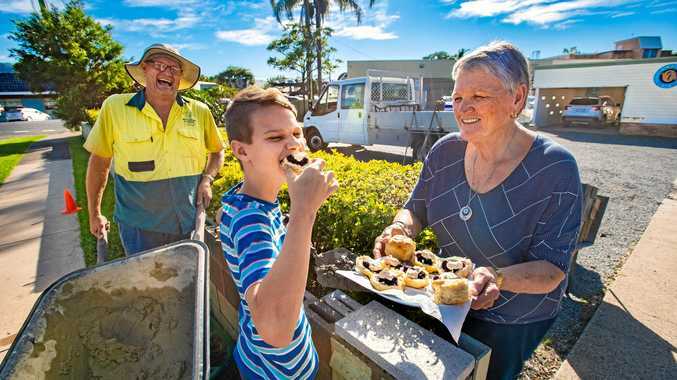 The popular eatery at Queen Mary Falls Caravan Park and Cafe will be shut due to extensive hail and water damage. 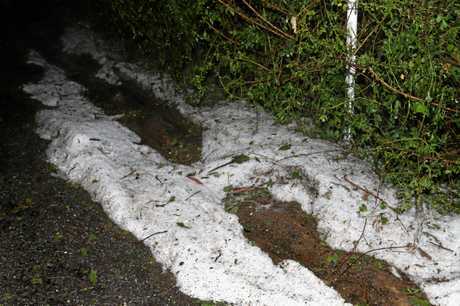 Video footage was captured of the shocking hail storm, which left a blanket of ice so think on the ground around Killarney it looked like snow. RiverRun Homestead was also battered by the storm, with the owners taking to Facebook to call out mother nature on the tough conditions she has put gardeners through in recent months. "First the severe drought, extreme harshness with minus frost, animal plaque due to starvation. And now to top it all off a massive hail storm," the social media post said. The homestead is planning to open its gardens next month. Spring Creek Mountain Cafe and Cottages was left with a leaking roof after the worst storm they had seen in 16 years. The business took to Facebook to reveal the 'deafening' storm saw massive hail fall on the grounds surrounding the business and caused water to leak through lights. 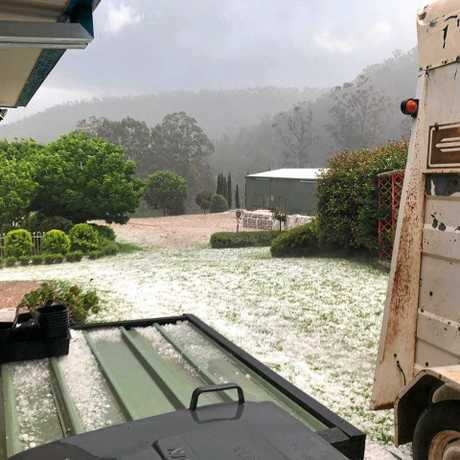 Bureau of Meteorology meteorologist Gabriel Branescu said hail as big as 3.6cm was reported at Killarney after the storm passed through. But with a southerly change coming through today, the chance of a storm still hangs in the air but is less likely. "A dry southerly change with dry air coming form the west and the southerly change pushing to the north, they're more likely to happen over the Wide Bay area," Mr Branescu said. From one extreme to the other, Warwick is expected to see hot conditions today with a top of 32 degrees predicted. That's six degrees above the October average maximum temperature of 26 degrees.